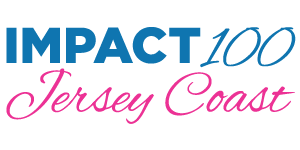 Impact 100 Jersey Coast strives to provide at least one grant of $100,000 each year to a nonprofit organization serving the Monmouth County area. Total funding is determined by the number of members who join our giving circle by the close of our Membership Drive in March of each year. Arts and Culture: Projects or programs that develop greater artistic and cultural opportunities, and improve participation in the arts or arts education in our communities. Children and Families: Projects or programs that strengthen the lives of children and families in our communities. Education: Projects or programs that advance or improve learning opportunities for children and/or adults in our communities. Environment, Parks, and Recreation: Projects or programs that promote a positive and sustainable relationship between humans and their environment; preserve or enhance open and public spaces; or support environmental education and awareness in our communities. Health and Wellness: Projects or programs that improve the physical and/or mental well-being of people living in our communities. Nonprofit organizations interested in applying must confirm their eligibility by completing and submitting an Eligibility Form by May 17th 2019. Eligible nonprofits may apply for grant funding in one of five focus areas by our May 31st 2019 deadline. Focus Area Committees (FACs), comprised of members, evaluate grant applications. After a thorough analysis and financial review, semifinalists are selected and site visits are scheduled. Each member casts a single (and equal) vote for a nonprofit of her choice. The grant recipient(s) is determined by majority vote and announced at the close of the meeting. For additional details about our grant process and our upcoming information sessions for prospective applicants, visit our How to Apply page. Please contact grants@impact100jerseycoast.org for more information. © 2019 Impact 100 Jersey Coast.